Whether you want to make your own cigarettes, roll your own cigars, or Fronto Leaf for ‘grabba’ or ‘wraps’… we have it all! 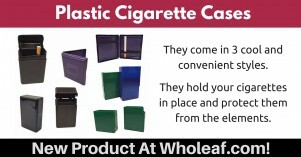 Imagine having an endless supply of your own whole leaf tobacco and saving thousands of dollars per year while enjoying tobacco that tastes so fresh… it’s as if you have never smoked the real thing before! Once you try our quality whole leaf tobacco, you’ll never go back to the “processed stuff” ever again! Canadian Virginia Flue Cured, Burley and Semi Oriental 456 are just a few varieties of whole leaf tobacco that are used in making cigarette blends (we have 8 varieties YOU can choose from). 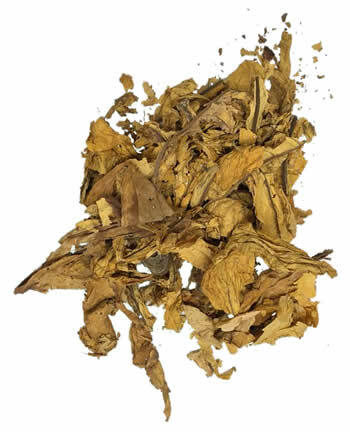 Save money by using our filler tobacco to make your own cigarettes. 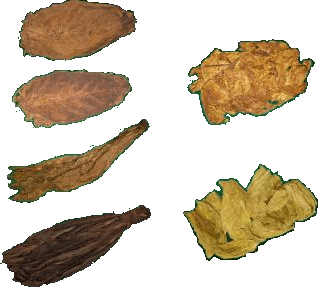 Discover the different types of whole leaf tobacco blends that are possible when making cigarettes by browsing our recommended Tobacco Leaf Blends. Make your life easier with our “Make Your Own Cigarette” Tools & Accessories. 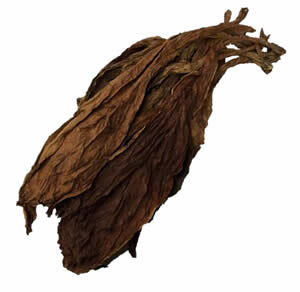 We also carry many other types of whole tobacco leaf at wholesale prices, so be sure to check out our selection of wholesale ‘priced to sell’ tobacco. We have some of the finest cigar rolling professionals producing masterpiece grade cigars with our premium cigar wrapper, filler and binder whole leaf tobacco. We roll everything from churchill, corona, robusto, toro and torpedo style cigars. Check out our hand rolled cigar selection today! Tobacco Leaf… It’s What We Specialize In! 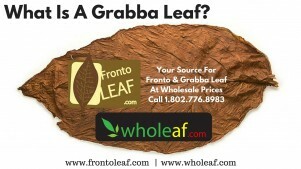 Fronto , Grabba, Shade Leaf & More... Wholeaf.com Customer Favorites. The QB-52 Fronto leaf is a high quality cigar wrapper that can be found in urban/metropolitan area convenience stores & specialty tobacco shops. 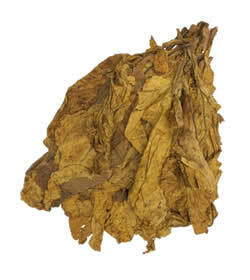 This is one of our best selling varieties of wholesale tobacco / fronto. The Connecticut Tobacco / Fronto Leaf is of a higher quality than most other fronto. 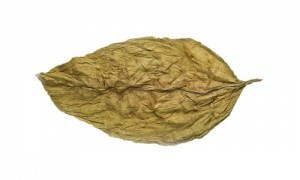 They are quite uncommon to find in the connecticut tobacco market as Connecticut broadleaves/fronto are known for being used in premium quality hand rolled cigars. 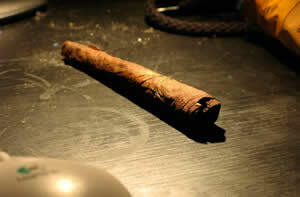 Dark Air Cured Fronto leaf is usually used as a cigar wrapper, binder or filler. 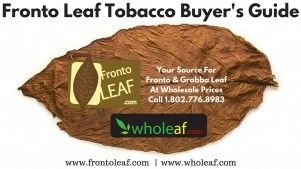 These leaves are of high quality & very similar to fronto leaves sold in the Caribbean. 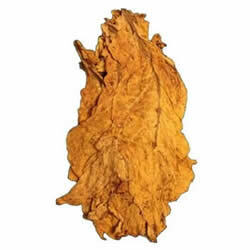 Wholesale tobacco prices are still available for this leaf, in limited quanitity. 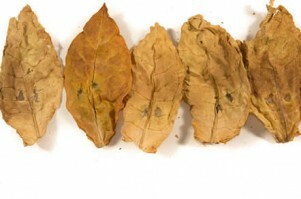 Connecticut Shade Leaf is very popular amongst tobacco enthusiasts. It has an earth brown / tan appearance, and has a velvet thin consistency. This is the smoothest tasting leaf that money can buy! The Havana #7 Connecticut Broad Leaf is a favorite of our wholesale tobacco customers. It is light in color, fresh in appearance and large in size. True Havana flavor, it doesn’t get much better than this. A popular middle tone wrapper, with a mellow tan on the outer leaf and a softer/darker tone on the inside. Medium in strength and tone, it is a smooth, bold and clean tasting filler, with a strong but not overpowering taste. The Canadian Virginia Flue Cured tobacco leaf is another great choice for your cigarette, pipe and hookah blends. It does a fine job of toning down a stronger tobacco in your blend. We think it mixes really well with our Organic American Virginia Flue Cured Tobacco. 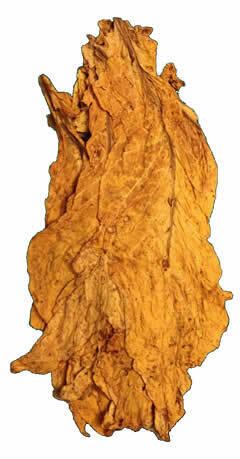 This Organic version of this type of tobacco is by far superior in all aspects to the conventionally grown product. Get yours while supplies last! 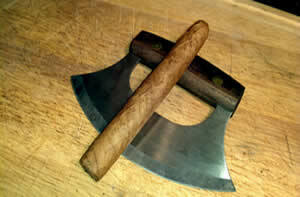 The American Virginia Flue cured is an excellent leaf for cigarette, pipe and hookah blends. This organic version is similar to our standard version only in the qualities of the strain. This organic version provides significantly more enjoyable experience smoking experience, with fuller flavors and an unparalleled freshness. Mixes well with the Organic Canadian Virginia Flue Cured Leaf. This Organic Burley leaf has an even darker, more red/brown color, and packs a more of a robust flavor that American tobacco blends are famous for. This leaf carries an incredibly distinct scent, unique to American grown Burley leaves. 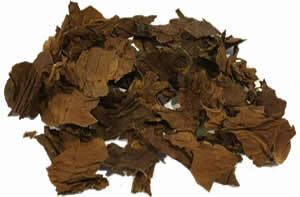 Lower quality, scrap consistency version of our organic tobacco selections. 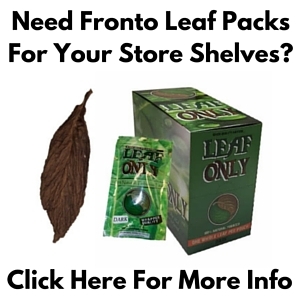 Looking For Fronto Leaf Packs? 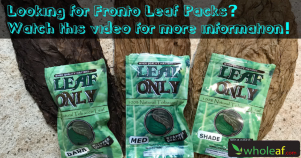 Check Out Our Video All About Our Packaged Fronto Leaf Product Meant For Your Store Shelves! Want To Roll Your Own Cigars? 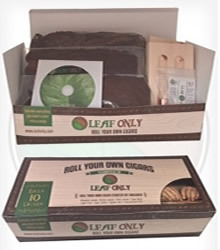 Leaf Only has put together a starter cigar rolling kit that contains EVERY SINGLE ITEM YOU NEED TO ROLL YOUR OWN CIGARS. 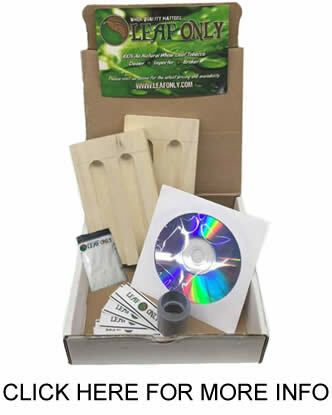 From a 30 minute How To/ Instructional DVD to the actual leaves, this kit contains 8 products to help you get started on your journey to hand rolling your own cigars. The tobacco included makes for a mild tasting cigar. If you are looking for something stronger, we also sell 1/4lb samples of every single type of tobacco we carry available for purchase by visiting the other tobacco leaf pages. 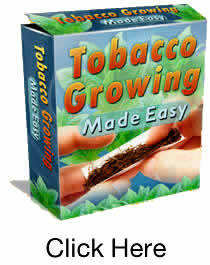 Want To Grow YOUR Own Tobacco? With our vast selection of tobacco seeds, you can grow your favorite kinds of tobacco, experience a fresh harvest and smoke the best tobacco you’ve ever tasted… grown by YOUR VERY OWN HANDS! Want to learn how to grow the biggest and baddest tobacco plants your imagination can conjure? It helps to know exactly what goes into growing healthy and high yielding tobacco plants. We suggest you check out what we consider to be the ultimate tobacco growers resource… a guide called “Tobacco Growing Made Easy” written by our good friend and tobacco cultivation expert; Geoff Thrower.